In February 2007 we decided Satori and me to organise a journey to Baikonur to visit the installations and to see the takeoff of a Soyuz rocket. Satori having already accomplished this voyage in April 2006 we direct ourselves to the agency with which it had left (RusAdventures), moreover the posted price is in dollars (which does not cease falling). But, after some mails exchanges it seems that the announced price is for a group of 30 people! How do they really think to brought together 30 people by the same agency? We do not know yet who will come but with us but it will not be 30, we will have to surely pay more (the final price was 4 980$ which is 3 700€). Meanwhile we searched for other agencies able to provide the same service, we found a French agency (GNGL), but the price was prohibitory 1 700€ more. Thus we decided to go with the Russian agency (RusAdventures) and start to make publicity on various forums. An American forum NASASpaceflight and the principal French aerospatial forum forum-conquest-spatiale.fr. Some people seem interested, but there are also some desistances. At final, we are 4 people. It’s really low in comparison to our waitings, but it’s understandable in comparison with the price of the voyage. Then, a few months before leaving a reversal situation occured, the French agency GNGL lowers its price of 1500€ and proposes more visits in Moscow (3 300€). After a small time of reflexion and another series of mails exchange with the agency (to understand why) we choose this one, which has the avantage to be in Paris (it’s simpler for me). Arrived to Moscow and transfer to the Cosmos hotel, dinner at the hotel. Excursion at the cosmonautic corporation â€œEnergiaâ€ and TsUP. Transfer to the star city. After the lunch, museum astronautics visits and preparation centers of the cosmonauts Iouri Gagarine. Transfer to the hotel. Early in the morning transfer to the Tchkalovsky airport. Flight to Baïkonour. Arrival at â€œKrainiyâ€ airport. Customs, control of passports. Transfer to the hotel, installation. Spare time. Dinner. Breakfast. Spare time. Transfer on zone 112. Observation of the transfer of rocket TMA-12 to the launch pad. Visit of Garainsky and houses museums of Korolev and Iouri as well as museum Zone 2. Visit the Energia-Buran launch pad. Visit town of Baikonor. Assistance to the press conference of the Soyuz crew and the state commission. 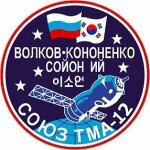 Observation of the assembly building of the Soyuz vessels, Progress and launching pas of Proton Proton. Observation of the departure of the cosmonauts at the hotel « Cosmonaft ». Observation of the crew report/ratio to the president of the state commission. Transfer on platform 254. Cocktail. Transfer at the â€œKrainiyâ€ airport. Customs, control of passport. Loading. Landing at Vnukovo. Transfer to the Cosmos hotel. Dinner at the hotel. Free morning, possibility of visiting the museum of Cosmonautique (in option). After lunching visit of the house of Korolev. Dinner. This program is very attractive. The order will not be really respected, but we will visit all the mentioned points (except the Proton launch pad). 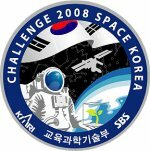 Merci pour votre récit du « Baikonur Tour 2008″. Yes, I already saw your page about your trip. The problem is that now their price is way too high. Every year I organize a tour to Baikonur directly to Kazachstan . Europeans dont need any visa!! and if suchmachine needs more info for a lecture write me.